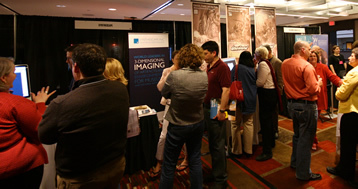 If you would like assistance in designing or building your Web site, the latest products and services from leading firms were in the MW2010 Exhibit Hall. coffee, lunch and ice cream served in the Exhibit Hall. The following organizations were be featured in the MW2010 Exhibit Hall. Throughout the day on Friday, April 16, 2010, exhibitors gave talks highlighting their recent projects and areas of expertise.